A Time To Shop | Organize Your Fridge and Eat Healthier This Year! When you’re in the throes of hunger, it can be all too tempting to grab a bag of potato chips or a candy bar and much easier than putting together a sandwich or salad. However, the easiest options tend to be far from the healthiest. If you are interested in improving your diet but can’t pull yourself away from your cookie jar, don’t worry. We have gathered an array of tips to sort out your refrigerator in a way that will make healthy snacks your first and easiest choice! If you do this, you will know the exact contents of your refrigerator. This will not only help you keep track of what foods are available to you, but ensures you know which foods you should indulge in the most before their expiration dates hit. It isn’t hard to keep the hummus or yogurt in a single-serving size more interesting. All you have to do is add healthy extras, such as vegetables for hummus or fruit and/or nuts for Greek yogurt, to the tops of their containers. When you’re on the lookout for a snack, all that’s left for you to do is grab and go! It can be more appealing to skip scavenging through your refrigerator and pick a sugary snack instead. 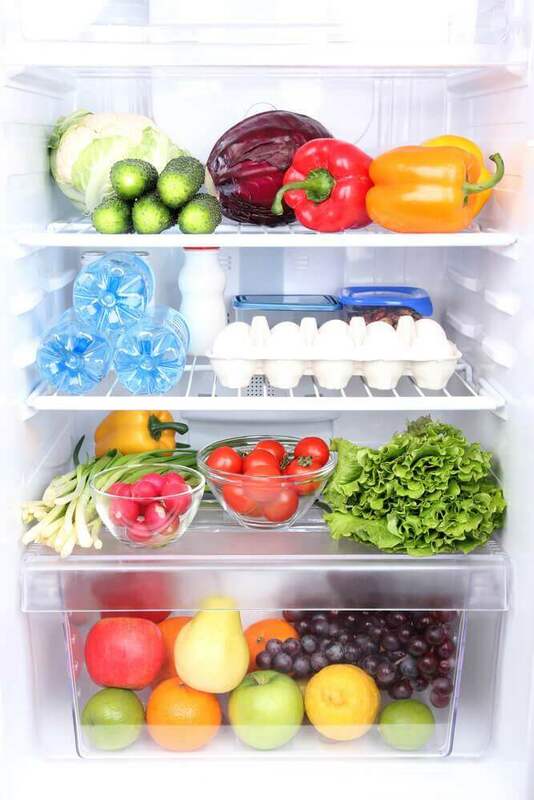 Once a month, try cleaning out the contents of your refrigerator. Throw out anything that has gone bad or you know you no longer want to eat. Also, try to avoid stacking the foods you do keep and maintain a distance of a half-inch between your groceries. If you keep your drinking water in the refrigerator, you’re more likely to get tempted by other things. Instead, consider taking advantage of the water dispenser attached to the door of your fridge, if it came with one, or the tap. The last thing we want to do when we’re rummaging for something to eat is take the time to slice and dice fruit and vegetables. The way to remedy this is to do it in advance so it’s ready the next time you’re looking for a quick snack. Additionally, you should keep these items at the front of the fridge since you’re most likely to grab whatever is in your immediate view. Are You Really Hungry at All? You must be able to distinguish the difference between eating out of hunger and eating out of boredom. If you are hungry, you have to gauge how much to eat with respect to the time and size of your next major meal. Maintain the freshness of the fruits and vegetables you buy. You can do this through any number of storage techniques, such as airtight sealing. You can do this by storing your junk food in an opaque container. If you can’t see it, you won’t feel compelled to overindulge! People naturally gravitate toward the middle of their refrigerator, meaning if you place more nutritionally wholesome foods on your middle shelf, you’re more likely to choose it for snacking. Eating healthy can be a challenging task, but we hope these tips can make things a little easier. If better eating habits are part of your personal goals, consider giving this list of tips a try. Click here to read more on A Time to Shop.